•What version of the game are you playing? (ex. Wii, PS4, 3DS) This info in particular is very important, since many bugs in previous games only happened on certain versions. 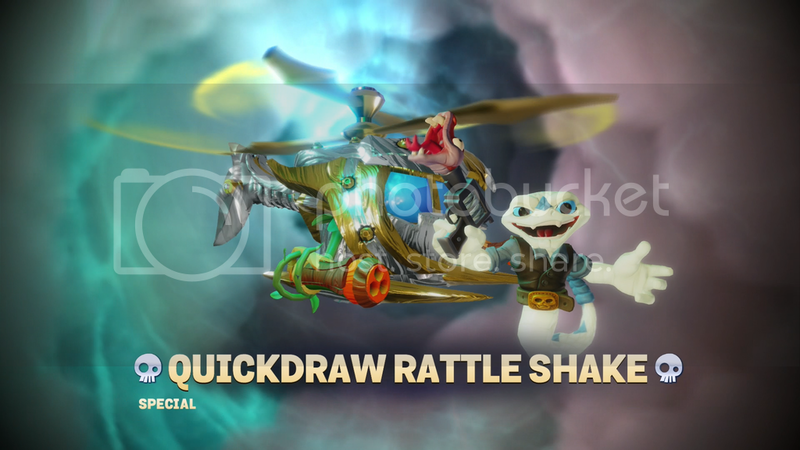 •Does this bug pertain to a specific skylander or vehicle? Note: This will be edited by either me or the mods. Wow. The game wasn't even released and people already want to see bugs. Interesting. To be fair,if any gamebreaking glitches(freezing,forever stuck,save corruption) happen,it's very good to put it here as fast as people can find it so others don't fall in the same issue. Solution: dont buy pc version!! He was just joking Blink. That and I like the fact we're being proactive to stop a zillion tiny threads from spawning. It's taken 2 or 3 years, but we've finally learned. we have the trap team bug reports thread so this sure can come in handy. and over time we can and will see how lazy they are in bug testing before release. see how lazy they are in bug testing before release. There's a difference between not testing properly and not having time to fix everything before release. Yeah, but from a consumer perspective there's no difference. A buggy product is a buggy product. Got for xb1 and it says my vehicle maybe corrupted and to recover and it just repeats never getting past the first time placing a figure on the portal. Update come to find out it is the new portal, plugged in trap team portal and it worked just fine. Glad I will only be buying two more vehicles and one more skylander, not dumping money into it like before. Please remember to use the glitch reporting sheet. Thank you. this is a billion earning game franchise... and when you earn that kind of money, there is no excuse for not having time and fix a broken product. i calculated the cost of wave 1 and its around 390 dollars. this is just to get the basic stuff of the game and then you also have wave 2,3 and 4 that comes later. so you are pretty much looking at cost at nearly 1000 dollars here for a game. so yes i expect a working finished product if i am gonna spend that kind of money. Guys, can we not argue about wether glitches should've been fixed here? That's not the point of this thread, it's so people can read and avoid any potentially bad bugs. Take it to the General Discussion Thread. thats a bummer, you should definitive take it back to the shop and get a new game with a working portal. It needs a thread because if we get a glitch that corrupts our game other people can't see it because it will be buried in the discussion thread. And if they don't see and run into the glitch, it coul ruin their game. I agree. But I think people should stop debating about wether the glitches should've been fixed or how bad they are inside this thread- purely the problems, how they happened and solutions. It's not helpful for avoiding glitches or troubleshooting, there's already a discussion thread and people can make other threads about it. If you want to use the new portal, I may have a suggestion for you. My TRU during the TRU event had the same problem, so what they did was they uninstalled the game date, and installed it again. Not sure if it will help you, but it's worth a shot. Thanks for the tip, I might give that a shot but I don't mind using the old portal as of now, I have already placed all the traps in to get the skystones. On the PS4 version, we found 2 bugs already. In Chapter 2, jumping across on the ship area (there's a special star on the left on a floating platform), we fell through the world. Chapter had to be reset from Portal Master menu. Then, in the timed race with Hot Streak, the car flipped over like a turtle on its back. It would not right itself. Lots of fun! Not game breakers, just little bugs to laugh about. Can the bug be repeated: Yes, if you play the second level you will glitch at a jump. Well after uninstalling the game and reinstalling still get the corrupted message. Yeah, don't know what to tell ya there. The XBOX One at TRU was really finicky, and didn't have an update in forever. Sorry to here. Who knows, it might only be like that on the first level? Glitch: Found Sea Shadow's engine mod (can't remember the name, something about pressure), but can not equip. Scrolled through mod menu and couldn't find it, but it shows that I collected it in the Blueprints screen. Got the Bio-Luminator (another engine), and could equip without hassle. UPDATE ON THIS ISSUE: After restarting my Xbox, I was able to equip without hassle. Glitch: Chapter 9, Dragon Temple...Lock Puzzle wouldn't end. Also, at the air vehicle part, put on Nitro Stealth Stinger and it wouldn't allow me to get in. Specific Vehicle/Skylander: The Lock Puzzle issue wasn't specific I don't believe, the vehicle issue was Stealth Stinger, but wouldn't recognize a change in vehicle or skylander after it happened. Glitch: Started a new save and after going through the intro stuff with Kaos, Hugo, Cali & Flynn, I put a vehicle (Hot Streak) on the portal when asked to by Hugo, and when asked to put on a Skylander, I put on my Eon's Elite TH who happened to have a hat (winged hat) on from Trap Team. Right after the game recognized the first Skylander, my son pressed his controller button for 2nd player and the game asked for the 2nd figure to be placed on the portal and he placed Drobit from Trap Team who also had a hat (don't remember name) on from Trap Team. When we finished the intro driving sequence and landed in chapter one, the player 1 figure had the player 2 figure's hat on and the player 2 figure had no hat on. The original player 1 figure's hat had evaporated. It is gone. I'll have to either wait to find that hat in SSC or fire up STT and re-equip my EE TH with it. Glitch: Gill Runt will suddenly stop being able to shoot his harpoons. You have to jump to fix it. Unknown if this happens every time. Possible glitch: While putting all my Skylanders one-by-one on the portal and testing, I found that many of my SSA Skylanders couldn't fail to get a critical hit. They all have a winged cap on. I have no clue what to make of this. This was only done on the target dummy in the hub. is there a patch on the wiiu version? (is there a patch for other versions??).. if so how big is the download? We've had this issue. Player 1 ends up with Player 2's hat and Player 2 loses his hat. Also, in this game, we didn't get credit for old hats that our characters were already wearing when we put old figures on the portal. We only received credit for hats that we found in game ourselves, even though some were old ones. I don't know if that's a bug or by design. Yes, it DL'd a patch at first launch. I believe the patch was around 150MB if I recall. It might have been more. I do not know about other systems as we've only used Wii U so far. thanks for the reply, and there was someone that said the patch was about 150mb on the ps4 too... so i guess this is standard for all then. as with last game trap team, there was a 23mb and all it was for was the online daily messages thingy. i played that game with the patch and without the patch many time to see if things was fixed but it wasnt..
so my guess this is yet again only for the online part and not the single player part... it would be interesting to hear from someone that dont download the patch. and see if they can find bugs the same bugs with the patch and without the patch etc... anyway its really disappointing that a 390 dollar game do need patches, its no excuses when people pay that amount for a game. i feel sorry for you guys that have to suffer for the bugs that shouldnt be there. Platform: Xbox1. The initial starting sequence when the software prompts the portal master to place a vehicle on the new supercharger's portal, the new portal does not recognize when the vehicle is placed on the new portal and the software never gets past the first time placing a vehicle on the portal. However, I plugged in trap team portal and it worked just fine. Either Activision sold a bunch of Xbox 1 starter packs with bad portals or there is a glitch in Xbox one software. PS: Thanks to the mods for creating this thread and maintaining this website. Interference with gameplay: Pop Fizz's Mutant Beast upgrade doesn't work. Can the bug be repeated: Just have Best of the Beast path and attempt pressing the tertiary attack button in beast form. Video Proof: None,can't record atm. For me, I have to unplug my Xbox One portal and plug it back in every time I load up the system again. Also have to close out of the game every time I'm done playing rather than letting it resume. This isn't a Skylander specific thing. I always have issues with Xbox One resume function. Most games don't work well when you try to do it. Could anything like this be causing your problem? Or was this actually the very first time you played the game that it didn't work? I've had to plug my portal out and in multiple times to get it to recognize...it was seated correctly and was in use the previous day. I'm on XBO...seems like a bug to me. i have read that some games can have issues with the xbone resume function. so the problem can be more the console system os than the game itself. So this was the very first time I attempted to load and play Superchargers on the Xbox 1 (as well as each subsequent load and play attempt). Placing the vehicle on the new superchargers portal when prompted by the game the first time repeatedly failed i) after multiple attempts of restarting the Xbox, and ii) after trying both USB plugs on the Xbox 1 when plugging in with the new portal. I also reloaded/reinstalled the superchargers game onto the Xbox 1. Each attempt would always stall at the point where the game prompts you as a portal master to place a vehicle on the new superchargers portal. The new portal did not recognize that a vehicle had been placed on the portal. However, I then after a couple of attempts, unplugged the USB of the new portal and plugged in the USB of the trap team portal. The game then did recognize that a vehicle was placed on the portal and would allow you to advance in the game and put on any skylanders you chose to place on. I also have had to reset the xbox 1 with the resume function and this is a different problem. I noticed when adding the same character but different figure/pose/model to the portal, the collection only shows the figure added last. For example, if I place Eon's Elite Chop Chop then Legendary Chop-Chop on the portal, only Legendary Chop-Chop shows in the collection. Even if I put Eon's Elite Chop Chop back on the portal, only Legendary Chop-Chop shows in the collection. I thought this may be by design, but for traps, all the various traps get added to the collection and the total count increments. Just seeing if anyone else is seeing this behavior or it is by design? Did you try plugging it in the back USB socket? That's not the problem. As reported, you can leave the game with it plugged in and working properly, and potentially come back in and it will not recognize the portal. Yes, unplugging and plugging it back in can sometimes fix it...but this is ridiculous. I'm currently sitting at a 33% failure rate booting from the program. Did you check whether you had taken ownership of every figure? We noticed on PS4 that some figures would automatically add to the collection while for others, we had to manually take ownership. 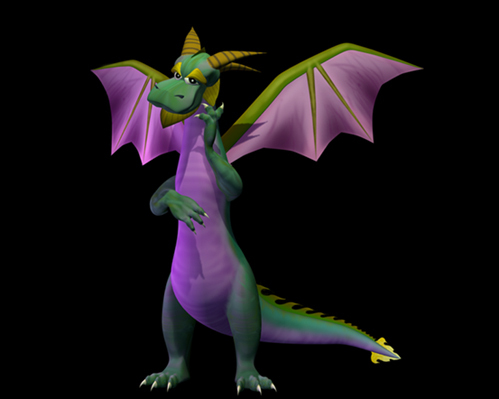 Once we took ownership, the figure was added to the collection and the "ownership" choice was removed from the character's menu. Happened again today...it took 5 times for it to become and stay recognized. This is ridiculous. Xbox One Platform. Is bug specific to one Skylander or Vehicle: Yes, Spotlight, Series 1. Can the bug be repeated: Yes. Game is updated on console, btw. Upon placing on the portal, the Light element symbol briefly appears, and then disappears. No warning or w/e about corruption. The game just won't read my figure. My Spotlight figure DID work on Trap Team, and as far as I remember, she has no hat/trinket attached. All other figures I have so far are working fine. It tends to randomly freeze the Wii U while using Dark Bowser. I haven't seen a reason yet to why it is happening. One time was at the end of a Skystones Match. One I put my other skylanders on to the portal the game does not add them to my collection. The only ones that are added are the superchages.